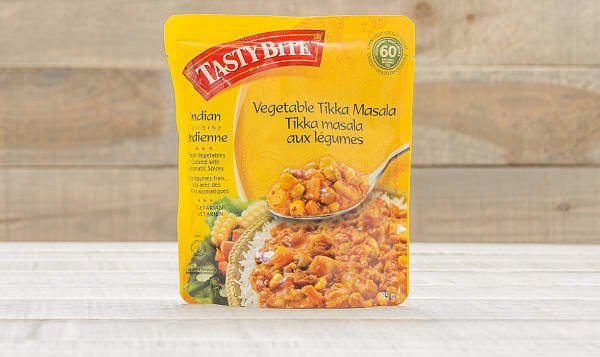 Potatoes, Carrots, Tomatoes, Onions, Corn, Green Peas, Water, Sunflower Oil, Cream, Green Peppers, Cashew Nuts, Spices, Salt, Garlic, Ginger, Coriander Leaves, Natural Flavoring, Raw Sugar, Turmeric. May contain tree nuts, wheat, dairy and soy. This product traveled 4869 km to reach our warehouse. Preferred Brands mission statement is to be a socially responsible company that will delight consumers by offering great taste, good value & real convenience achieved through manufacturing & marketing natural, convenient & specialty foods in a knowledge driven, energetic & fun work environment.